Übersetzungen werden nicht aktualisiert Wenn Übersetzungen nicht aktualisiert werden, dann liegt es daran, dass kein "file_private_path" gesetzt wurde. 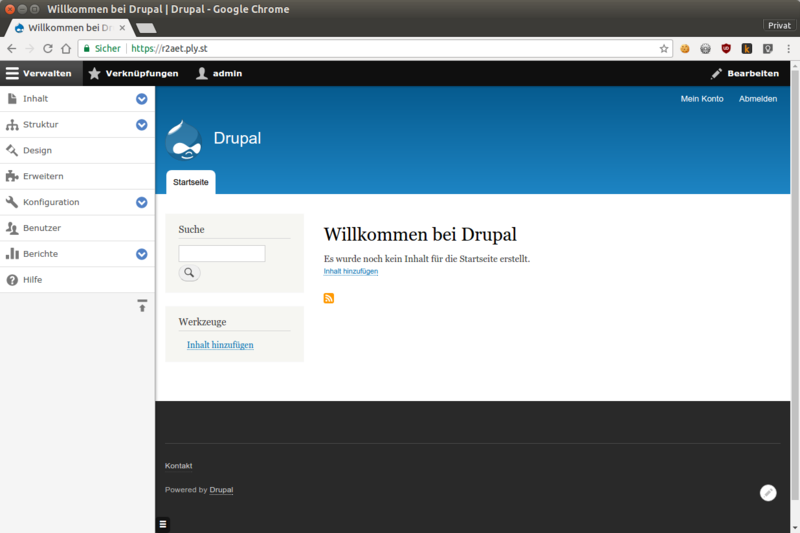 Neue Drupal Installation This project template provides a starter kit for managing your site dependencies with Composer. https://github.com/drupal-composer/drupal-project Bestehende Drupal Installation Convert a non-Composer-managed Drupal application (e.g., one created via tarball) to a Composer-managed Drupal application. Wir installieren DRUSH ohne Composer, weil wir a) Drupal nicht mit Composer installiert haben und b) es beim Aktualisieren vom Drupal Kern (auf 8.4). bei einem lokalen Drush pro Drupal Installation zu einer Fehlermeldung (Unable to load class \Drush\VersionControl\Backup) gekommen ist wget https://github.com/drush-ops/drush/releases/download/8.1.14/drush.phar mv drush.phar ~/bin/drush chmod +x ~/bin/drush Update? einfach neu installieren. The projects mentioned above provide a (more or less) easy way to use Apache Solr as a powerful search engine for Drupal. Unfortunately, the only language that works well with them, out-of-the-box, is English. So if you run a non-English website, you need to tweak all the configuration files by hand or you lose some of the advantages that Solr provides compared to Drupal's built-in database-driven search. Doing so requires a deep knowledge of Solr and search technology in general. The entire process gets even more complicated if you run a multilingual website.